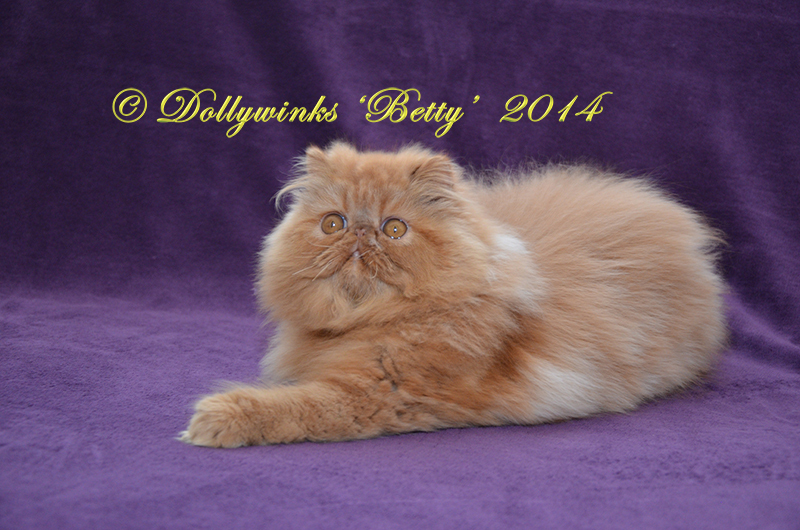 Eden is from Betty and Oscar bred 2015 and is the way Dollywinks would like our breeding to move forward. 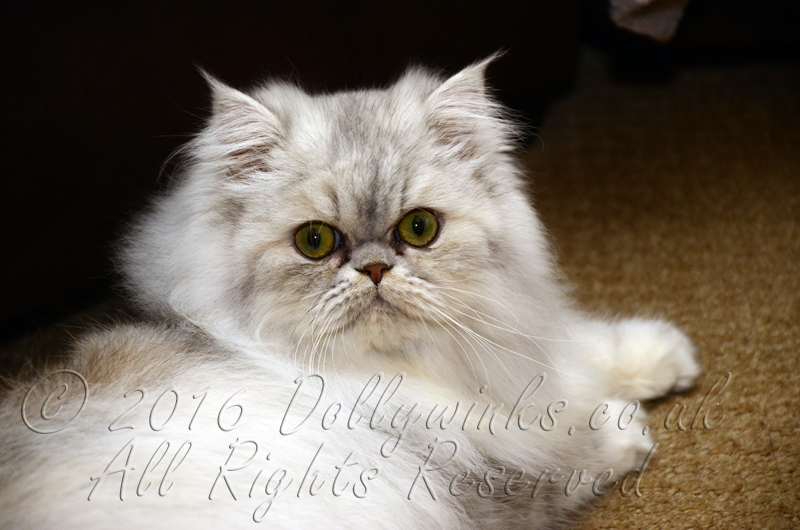 Having the terrific Persian colours with the doll faced, green eyed Chinchilla open face. She is blue tortie with silver and is a big cat. At a year old she is bigger than her mother. Dollywinks Alice is our shinning black tortie tabby gir. 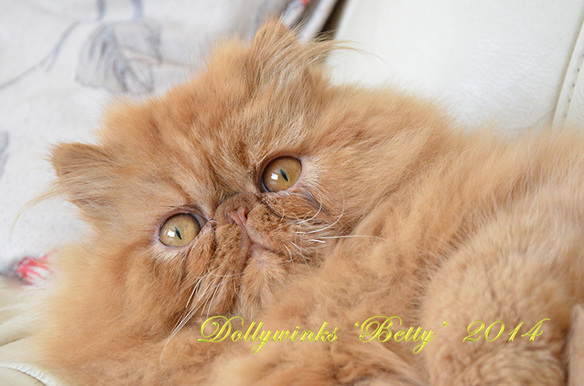 She is the daughter of Betty and Oscar. 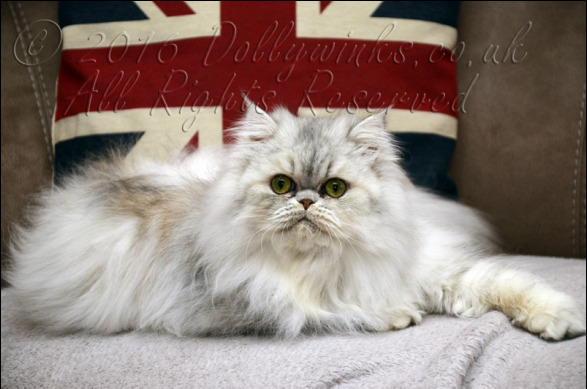 Light footed gentle cat, but wow what a thick fluffy coat. When grown out produces fluff ball babies. 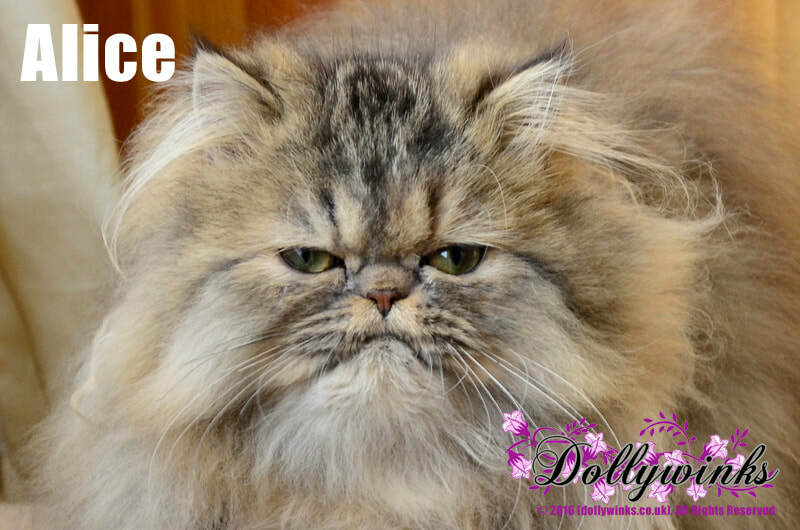 Dollywinks Lilly is our Silver Chinnie from our own girl Honey and stud Caspar. She therefore carries golden as Honey is our golden girl and has the blue eyes of her dad Caspar. Very gentle natured female, our little princess. Honey is from the first litter from Molly and Oscar. She is a confident girl who has already made it big modelling for Cosmopolitan Magazine, filming for a Sony Playstation advertisment and starred in a Channel 4 programme called Star Paws. 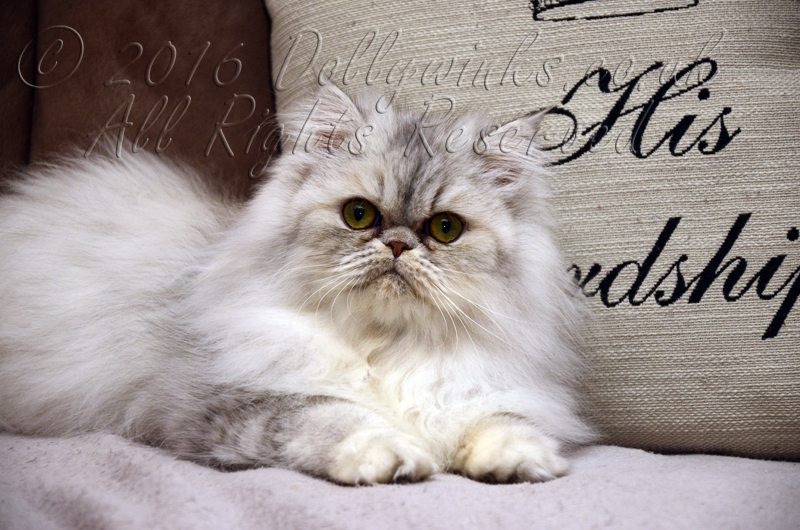 Molly is our oldest Chinchilla Persian female. 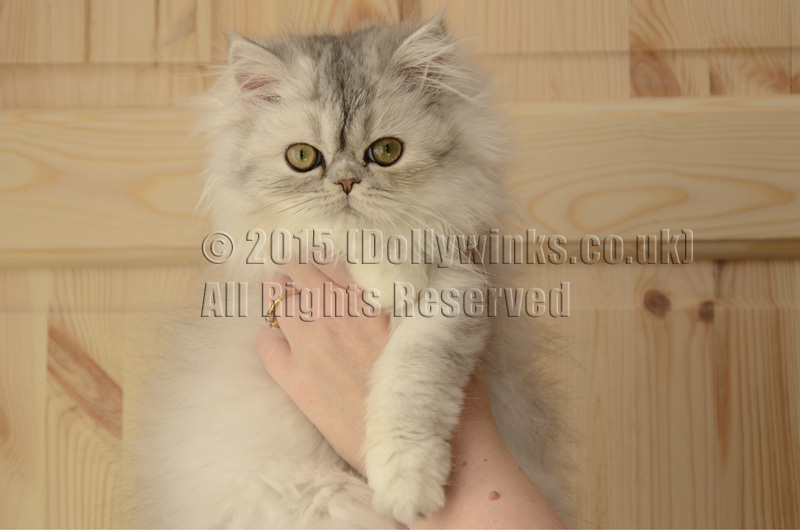 She has had her first litter in 2014 sired by Oscar. 2019 will be her final litter and has produced some stunning kittens. 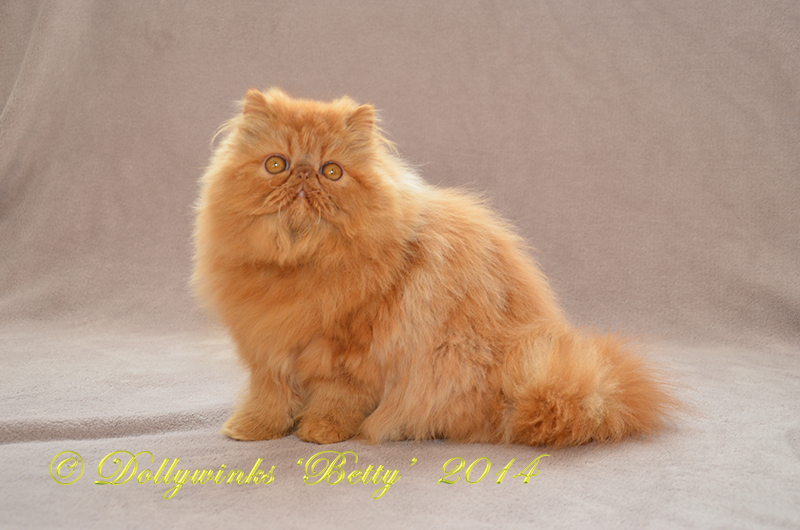 Betty is our first breeding Persian female. 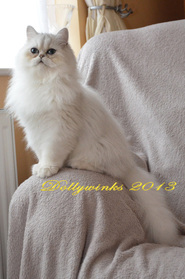 Hope to have a litter with Oscar in 2014.